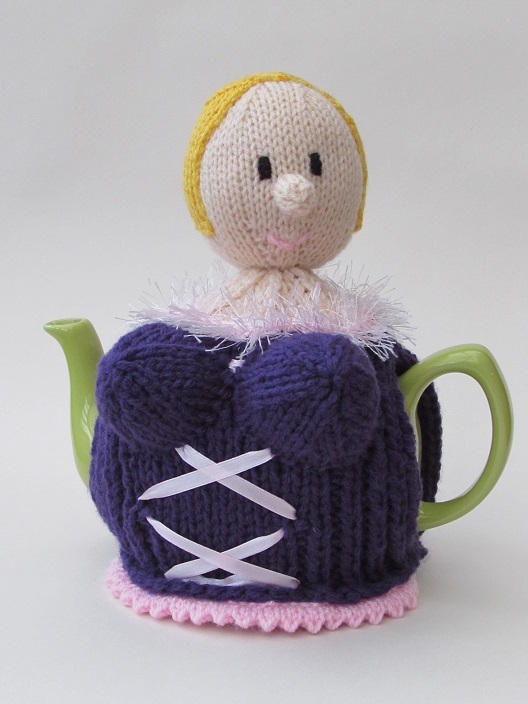 This tea cosy was a tall order. 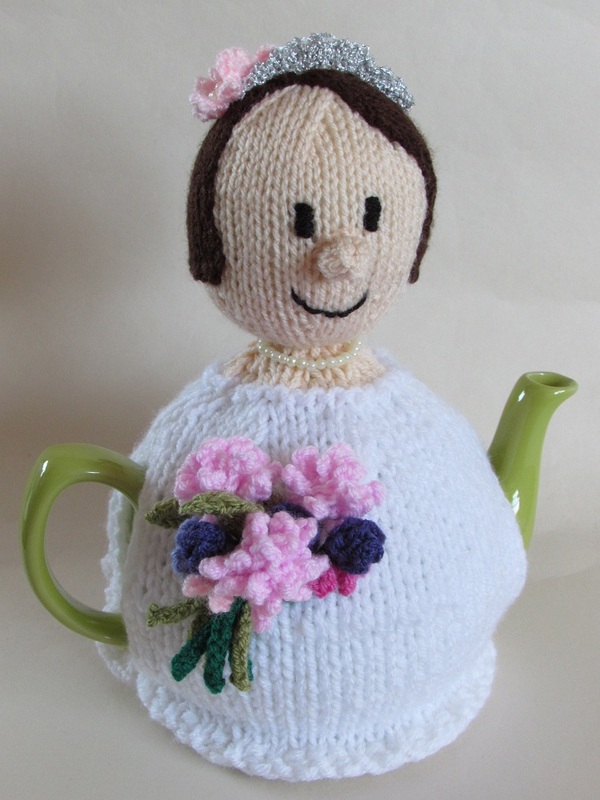 It was a bespoke tea cosy design for a ladies, friend for Christmas. 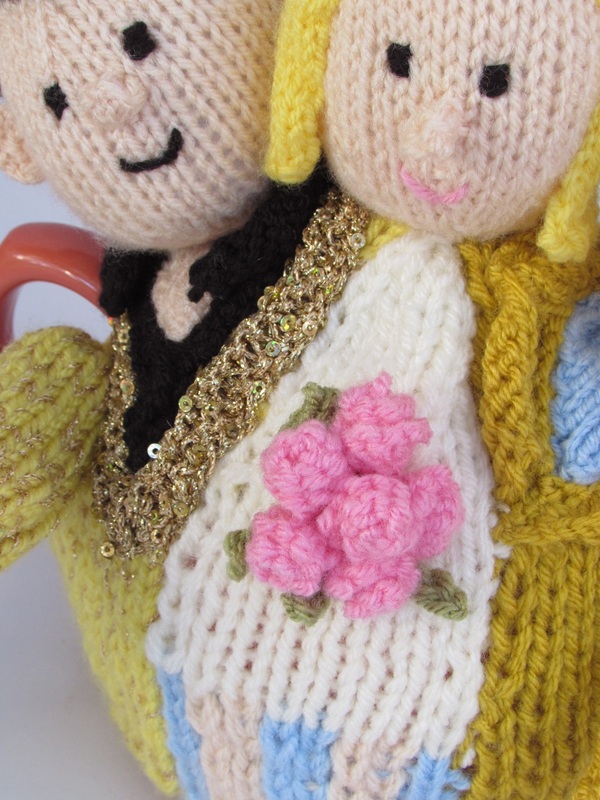 The friend had got married earlier in the year in Las Vegas, by Elvis. 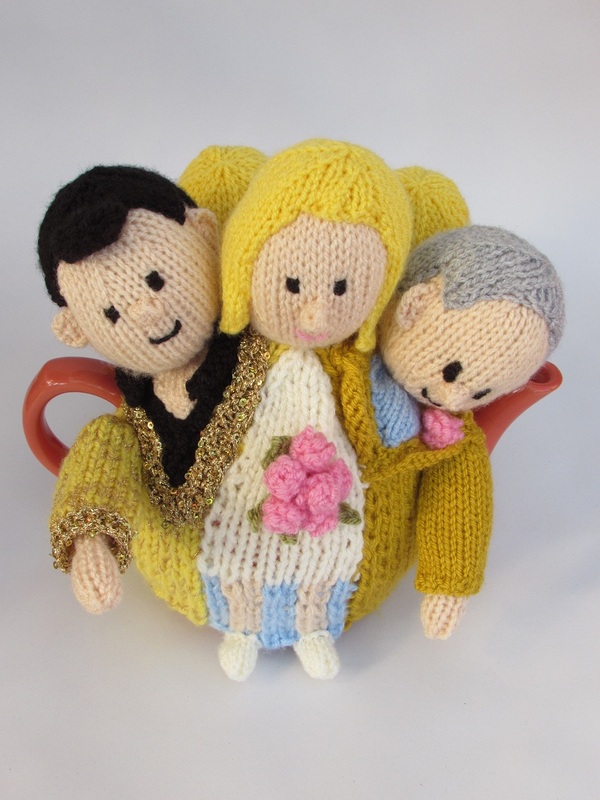 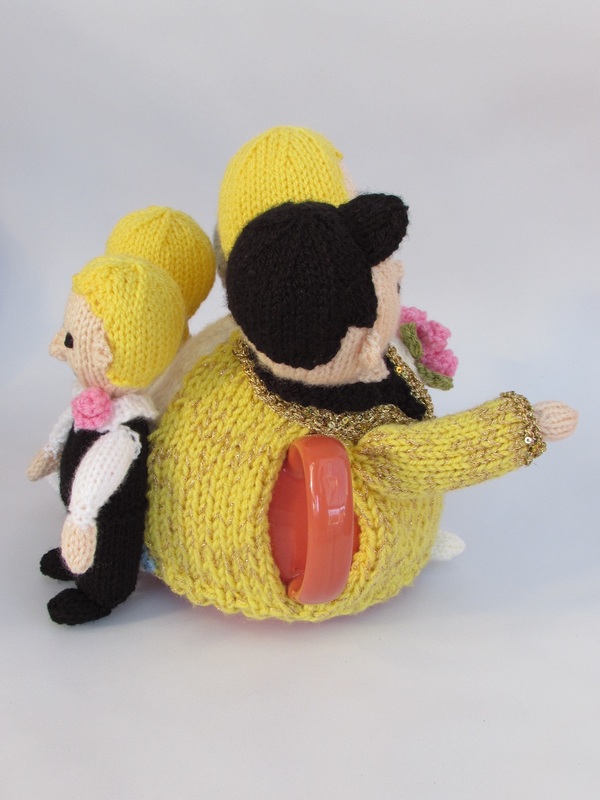 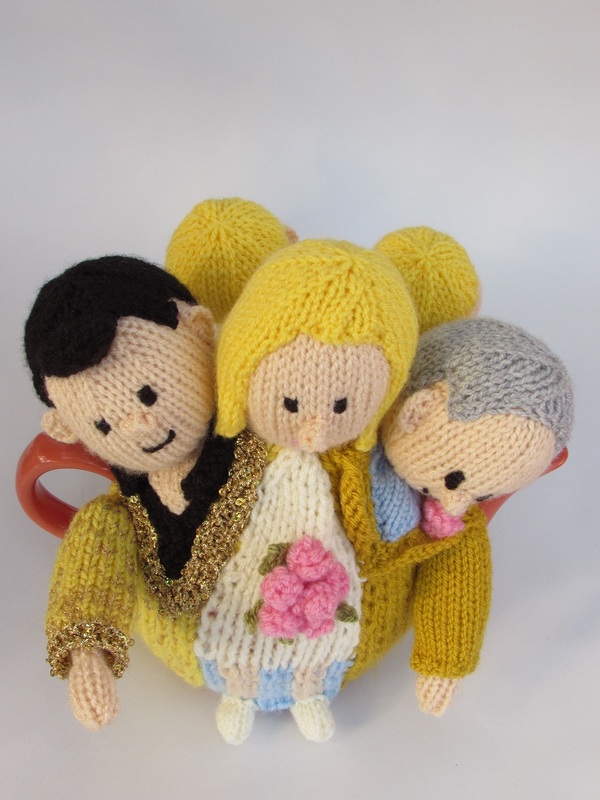 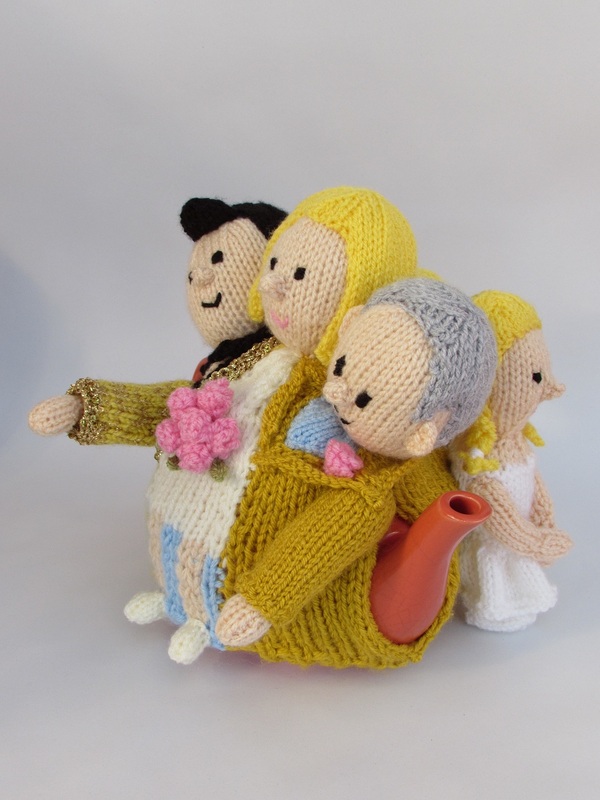 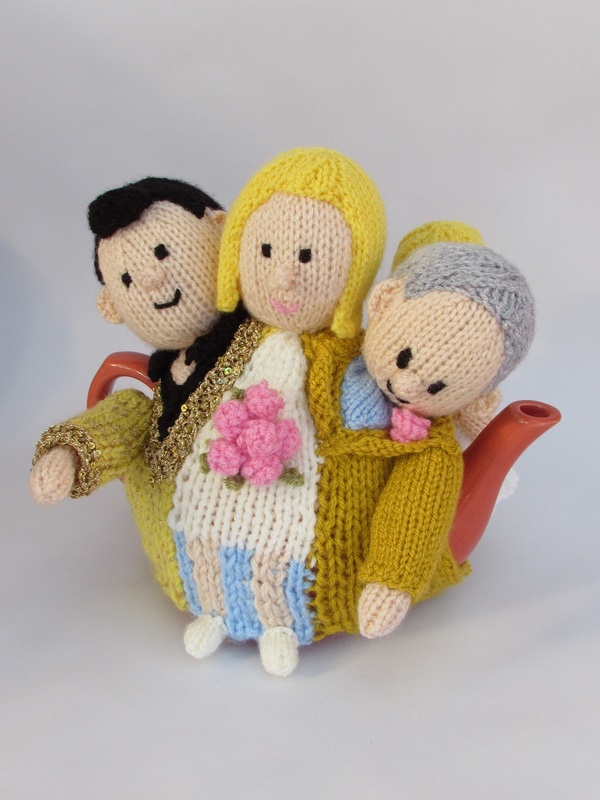 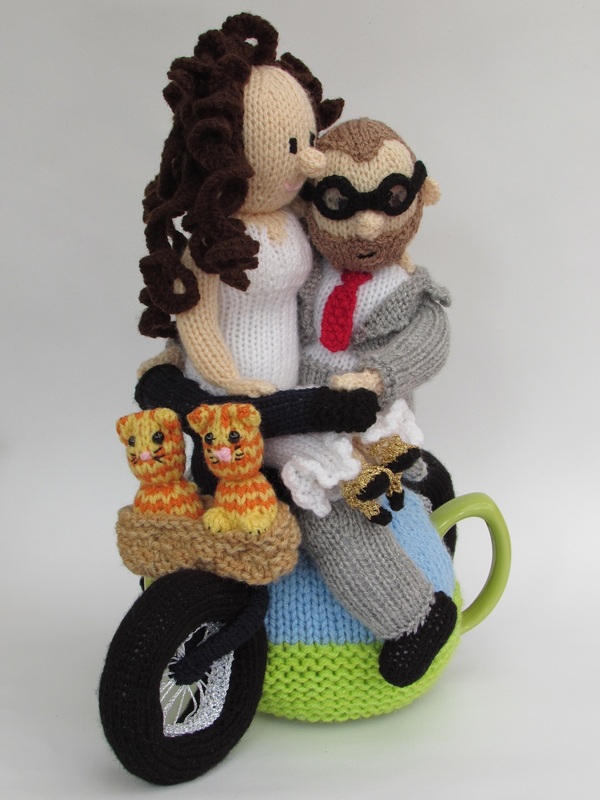 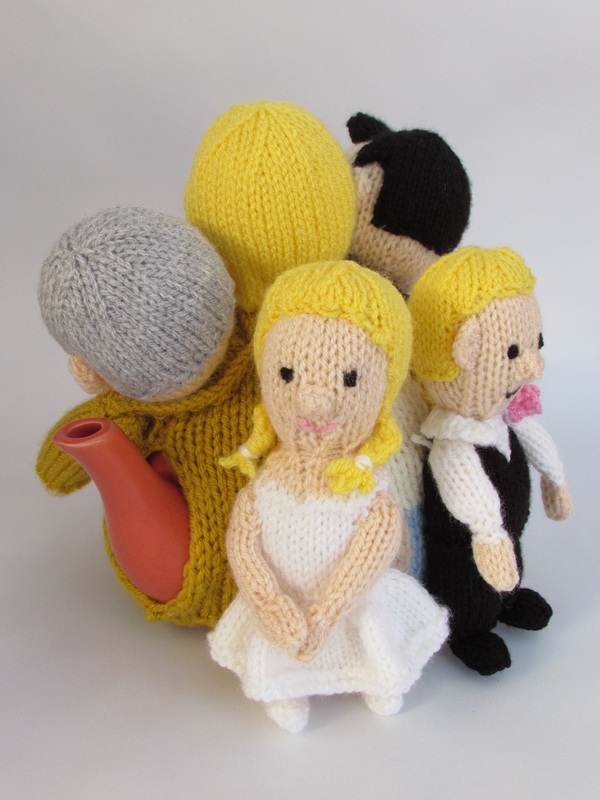 So that made it a 3 headed tea cosy, but then I was also asked to include a page boy and a bridesmaid too - Crikey! 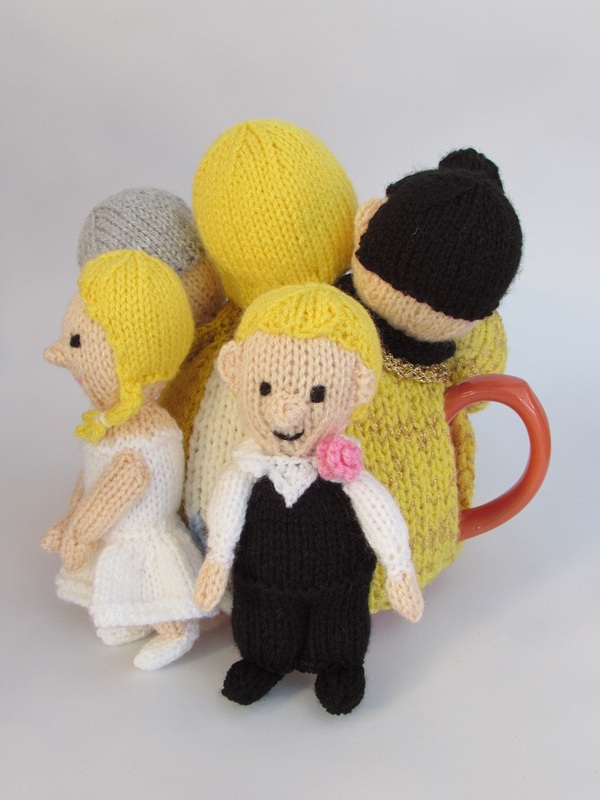 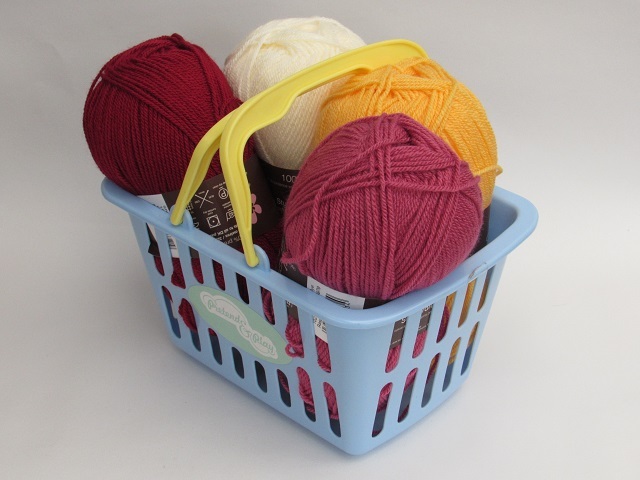 I was given a few photos of the happy day to work from and I knitted the cosy with colours as close as possible to what was worn. 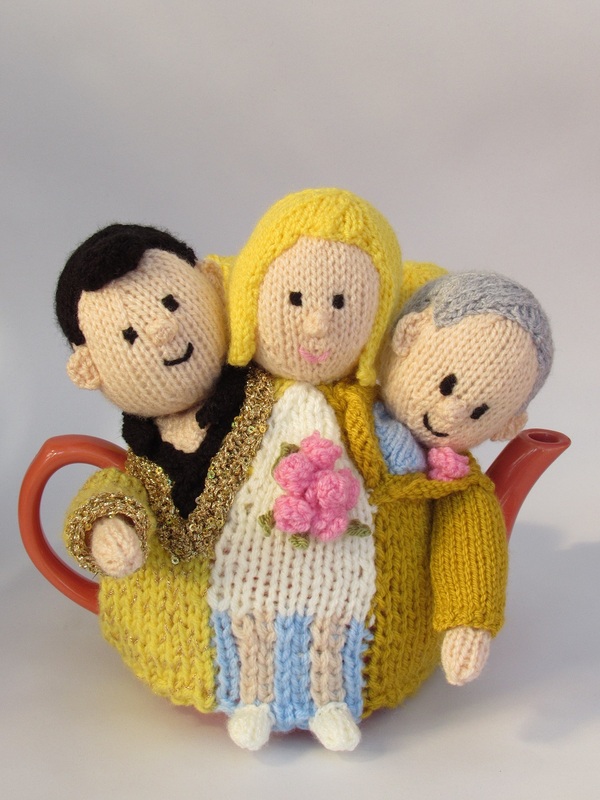 The cosy turned out really beautifully and its a super way to remember the happy day every tea time.